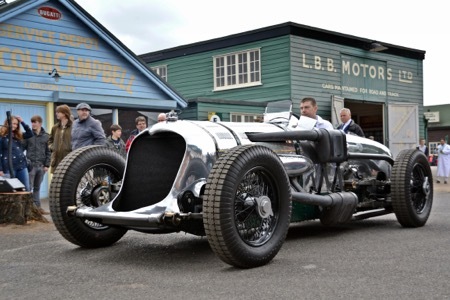 The incredible history of racing, speed and flight through most of the 20th Century is waiting to be discovered at Brooklands Museum this summer though a non-stop programme of activities for all ages. During the school holidays you can really feel what it was like to race on the World's first purpose-built Race track as the Brooklands Car Rides Team take passengers up the hill climb and along the steep banked track. If flying is more your thing, then you can take a virtual supersonic 'flight' on board Concorde with a fabulous Kids Tour expertly 'piloted' by your Concorde Steward. Open every day and included in the entry price is the fantastic new exhibition that everyone is talking about: recently WINNING a Museums and Heritage Award for best new permanent exhibition, the Brooklands Aircraft Factory will amaze you. Housed inside an original WWII Hangar, you will find giant sections of aircraft on assembly lines, interactive work areas where you can try some of the techniques yourself and make your own metal aircraft to take home. The centre piece is the famous Wellington Bomber - a giant aircraft that actually flew in the War and was salvaged and came back to Brooklands for restoration. From the earliest string, wood and fabric flying machines through two Wars, into the jet age and to Concorde, this unique heritage is told through the stories of the people who worked and flew at the site which at one point had 14,000 workers in its factories.